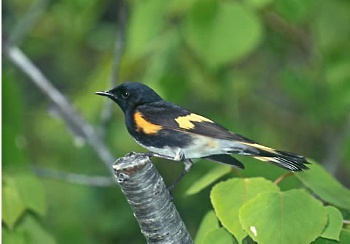 Breeding Habitat: Open deciduous or mixed woodlands, forest edges, roadside trees, orchards, shrubby edges of streams and ponds, brushy edges of pastures, parks. Prefers moist, second-growth habitats with an understory of saplings. Diet: Insects, including caterpillars, beetles, moths, leafhoppers, and flies; spiders; some wild fruits and berries.